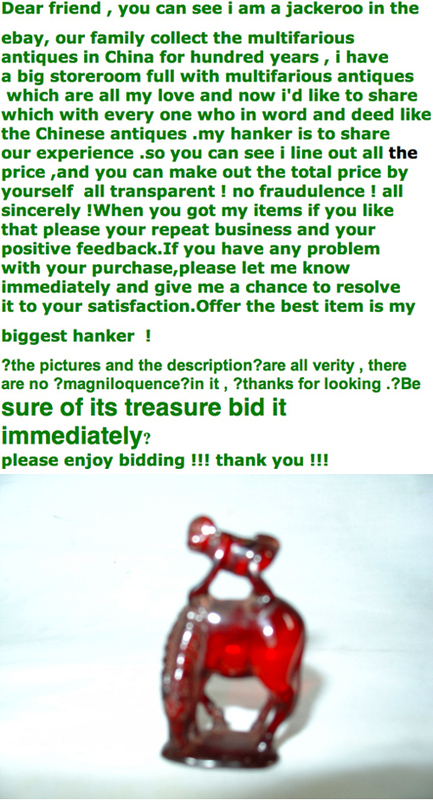 This eBay ad is one of the most beautiful things I’ve ever seen on the internet. All sincerely, no magniloquence. Why, why did I not bid on the monkey-on-horse sculpture purportedly made of amber? I could have displayed it under the framed green text art and the framed blurry photograph. I’m not kidding, no fraudulence, I have the biggest hanker for it now. This entry was posted on Thursday, May 28th, 2009 at 9:31 pm	and is filed under art, design, graphics and signage, humour. You can follow any responses to this entry through the RSS 2.0 feed. You can leave a response, or trackback from your own site.